Art, you owe Connie a hundred bucks. 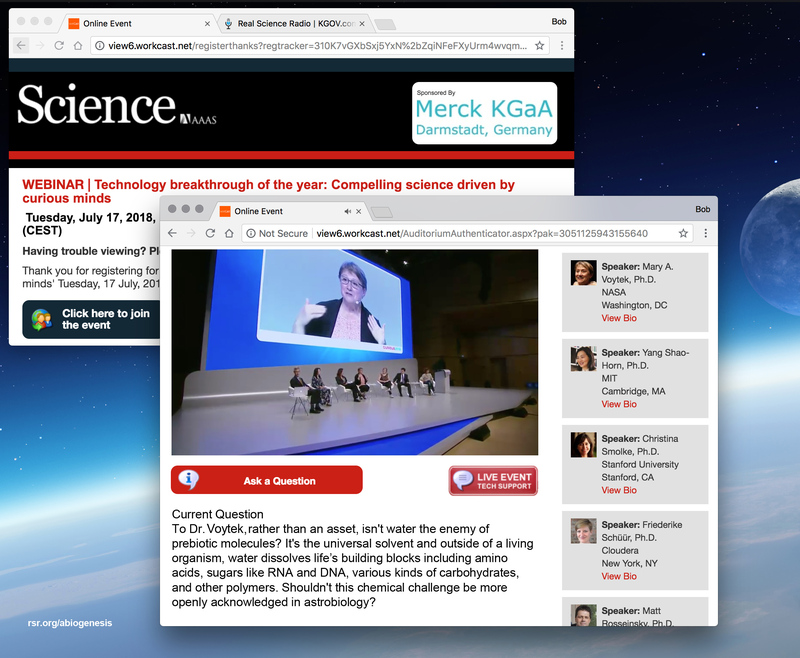 * Program Note: On July 18th, one of our RSR challenges was posed over in Germany as a question to a NASA astrobiologist by the news editor of Science. * To Hear the Response to Bob's Question: see tomorrow's broadcast page.